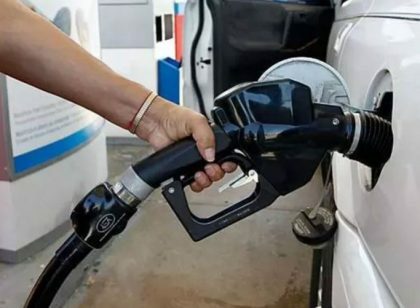 The Independent Petroleum Marketers Association of Nigeria (IPMAN), Kano zone has dismissed the allegation that marketers diverted petrol tankers meant for the state and instead attributed the current fuel scarcity to inadequate supply from the Nigeria National Petroleum Corporation (NNPC). The IPMAN Kano Zonal chairman, Alhaji Bashir Dan-Malam made the remark while speaking with newsmen in Kano on Saturday, as the prices of the product jumped from N145 to between N180 and N200 per litre. “Kano metropolis alone requires no fewer than 250 trucks of the commodity daily while the other four states under the zone needs about 100 trucks each on daily basis. He said when the scarcity started about two weeks ago, the zone was being allocated only 50 tankers which were grossly inadequate to meet the public demands in zone. “It was only yesterday (Friday) we received 114 trucks for the zone since the scarcity of the product started two weeks ago. “So Kano and the four other states under the zone require no fewer than 600 trucks of the commodity daily to meet the need of members of the public, “ he said . Dan-Malam described the alleged diversion of 144 petrol tankers in Kano as false and unfounded. “When we heard the story, we contacted the security agencies including DSS, Police and the NNPC officials but they all said they were not aware of the incident. “We don’t know where the spokesman of the NNPC, Mr Ndu Ughamadu got the story,”Dan-Malam said. The IPMAN chairman, who, expressed optimism that the fuel scarcity would be over in the next few days, commended the NNPC for increasing the number of trucks being supplied to the zone from 50 to 114. “If the number of trucks being given to Kano and other states under the zone continues to increase, the scarcity being experienced will be over,”he said. He assured that the association would continue to work with the NNPC in its determined effort to end the fuel scarcity in the state and the country at large.